The underlying focus should be the same as all paintings with a solid understanding of design, drawing, value, and color. You can’t achieve success while overlooking the fundamentals. So the overall approach will be solid design with an extra focus on water. 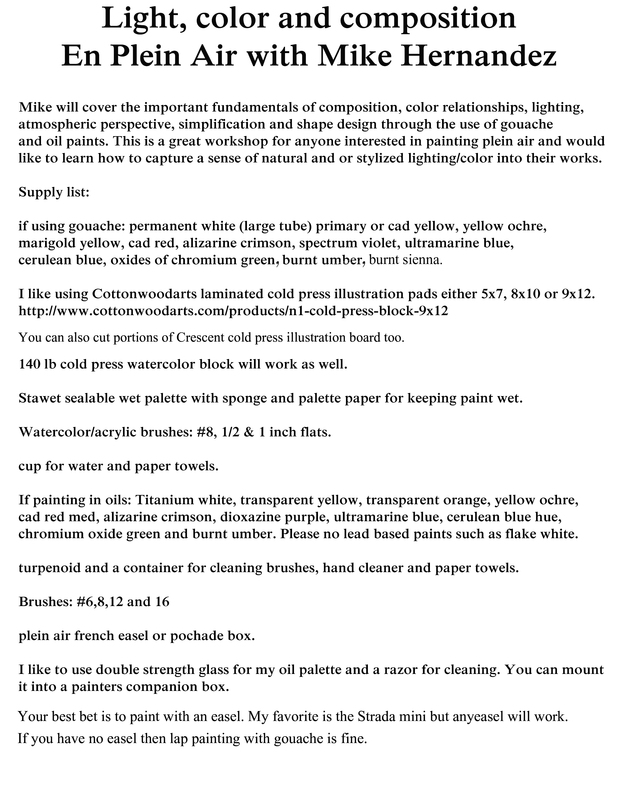 This will be an intensive study-to-studio workshop which Ray will share his method for painting seascapes. We will be painting studies on location, shooting reference material, including video, and working up a medium size painting(s) in the final 3-3.5 days. Very Important! Students will need to be prepared for the workshop. Students will need to bring photos and/or a laptop to work from in the studio portion of this workshop. For those working from photograph prints, it will be best to work from the largest size possible and to have different exposures for lights and darks of their selected subject matter. Many local stores offer quick turn-around print service and that can be easily figured out. Those using laptops will benefit from having Photoshop or Photoshop Elements installed. This is the way I’ll be working and recommending students to work. However, I managed for several years to do without the use of a computer and am quite prepared to work in either method. Please enter your cell phone number so we can reach you on the road if necessary. If you would like to be on a list to possibly share accommodations with another workshop student, please select the box below. We will let you know when there are students that can be matched up with you so you can discuss options.